Microsoft Word is a great program which can be used to edit document. One of its great features is that you could add annotations to your DOC files, this enables you to comment on documents without having to meddle with the actual text. Here is the instruction to tell you how to do annotated remarks on a Doc file. 1. 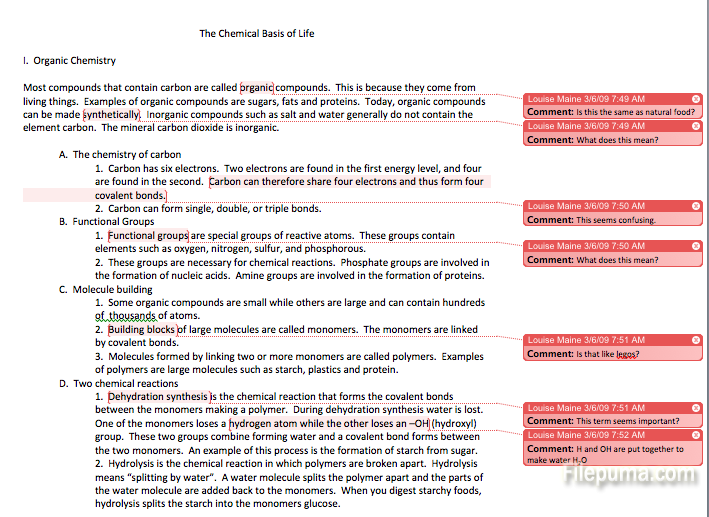 Highlight the text you want to add annotations. 2. Click the “Review” tab and then click the “New Comment” button in the Comments group to insert a new comment box. 3. Click your mouse pointer in the new comment box and type your annotation. 4. Press the “Esc” key or click outside of the comment box to save your annotation.